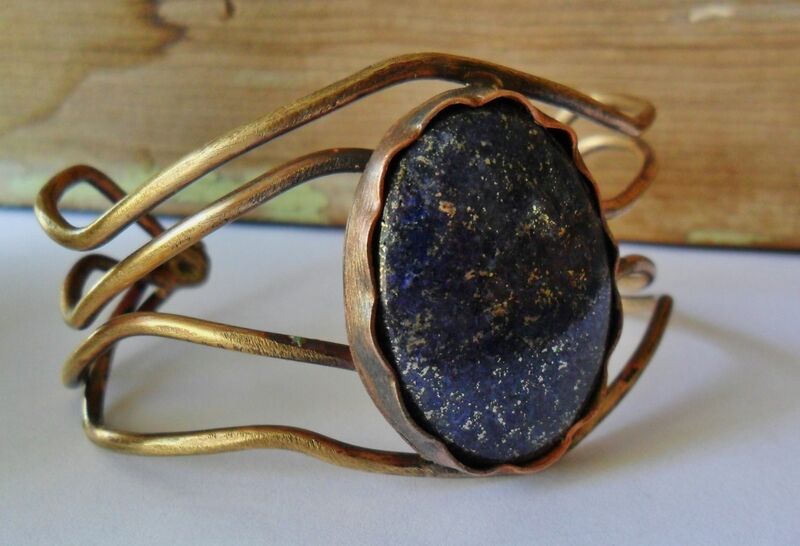 A large deep blue lapis stone with light golden color flakes sits on a brass wave design cuff bracelet. This cuff is darkened with a patina and lightly polished to a shine. 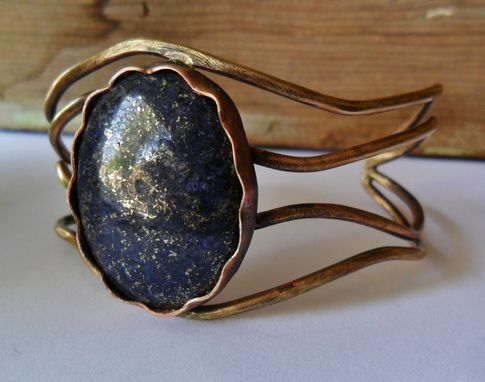 You choose the stone of your choice to make it uniquely yours! Lets collaborate! It is 6 inches long and roughly 2 inches wide.